We know that videos, mainly Youtube videos are playing a major role in today’s music world. It is quite easier approach and Youtube apps are available in almost all devices. We share songs from our own channel if and only if those songs are not available any where else. If we see that song being released by any music company, we would be more than happy to remove from our channel. As our goal had always been sharing melodies of SJ to music lovers, we would continue to do that in all possible interesting ways. Tribute articles will also be shared in this page along with video compilations. Hope you enjoy our attempt and continue your support as you always did. Thanks again! 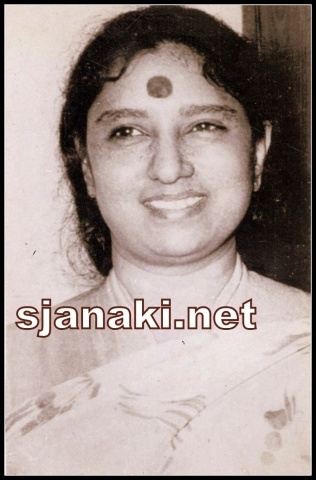 List of Ilayaraja-S Janaki songs Here..
Semi Classical songs from movies Here..
Compilations in Different languages Here..
Faces of Voice – S Janaki and her heroines!! Here..
Composers of Voice – S Janaki and Music Directors!! Here..
A Tribute to MS Viswanathan Here..
A Tribute to singer Ramakrishna Here.. Article on Haunting Melodies Here..
Pagale Vennela (Evergreen Solo of SJ) Here..
Jaya Gowri Jagadeeswari (A semi classical gem) Here..
A Tribute to Jayalalitha Here..
A Tribute to Krishnakumari Here..
S Janaki sings for M S Baburaj Here..
S Janaki sings for Sridevi Here..
A Tribute to C Narayana Reddy Here..
S Janaki sings for music of SPB Here..
Balu sings – Janaki hums Here..